It is the will of God that we should seek the salvation of all men without exception, as Christ suffered for the sins of the whole world. By the sacrifice of his death all the sins of the world have been expiated. Though Christ suffered for the sins of the whole world, and is offered through God's benignity indiscriminately to all, yet all do not receive him. The word "many" is often as good as equivalent to "all." And in fact our Lord Jesus was offered to all the world. For it is not speaking of three or four when it says: "God so loved the world, that he spared his only son . . ." Our Lord Jesus suffered for all and there is neither great nor small who is not inexcusable today, for we can obtain salvation in him. Unbelievers who turn away from Him and who deprive themselves of Him by their malice are today doubly culpable, for how will they excuse their ingratitude in not receiving the blessing in which they could share by faith. To bear the sins means to free those who have sinned from their guilt by his satisfaction. He says "many" meaning "all," as in Romans 5:15. it is of course certain that not all enjoy the fruits of Christ's death, but this happens because their unbelief hinders them. By His mediation God is satisfied and appeased, for He bore all the wickedness of all the sins of the world. How do Calvinists account for Calvin's own position on atonement, which appears to be at odds with the position of Calvinism? I see three questions beneath your one question, and I will handle them each separately. Are Calvinists allowed to disagree with Calvin? First of all, they get their name from him because they are believed to be in accord with him on most/all doctrine, not because they get their doctrine from him, although he is of course a highly esteemed and respected theologian. So in that sense, if Calvin taught something different than Calvinists, who cares? Many of them would care, but more because they want to know why they hold a different position than he does than because they need to agree with him. He is not a prophet. The most important question for a Calvinist is not, "Does John Calvin teach limited atonement?" but rather, "Does the Bible support limited atonement?" Do Calvinists disagree with Calvin? I should like to know how the wicked can eat the flesh of Christ which was not crucified for them, and how they can drink the blood which was not shed to expiate their sins. A historical difficulty appears when we attempt to explain how Reformed thought moved so quickly from Calvin’s alleged endorsement of universal atonement to the very emphatic support of definite atonement by all but one or two of the delegations at the Synod of Dort. What happened in these fifty-five years to cause the Reformed community to make such a drastic shift? Calvin used Biblical vocabulary and left himself open to interpretation on some issues in much the same way Scripture itself is open to interpretation. Why do Calvinists hold to limited atonement? From a theological point of view, Calvinism is a systematic theology. John Hendryx of Monergism.com says that it is impossible to deny limited atonement and at the same time affirm unconditional election. R.C. Sproul says that four-point Calvinists always, on investigation, turn out to be "no-point Calvinists." The "L" in TULIP is one cog in a well-oiled machine, as they say. From a historical perspective, as with all confessional forms of Christianity, time revealed new challenges to the system that needed to be answered. Jacob Arminius placed himself in opposition to Calvin and the system of theology expressed in the Belgic Confession and Heidelberg Catechism. The Dutch church needed to figure out, together, how to respond to his challenge. So they drew up the Articles of Dort, now remembered for giving us the five points of Calvinism, which answered the five points given in the Articles of Remonstrance. The development of the doctrine of limited atonement was simply a fleshing-out of the theological system developed by Calvin and his successors. Not the answer you're looking for? 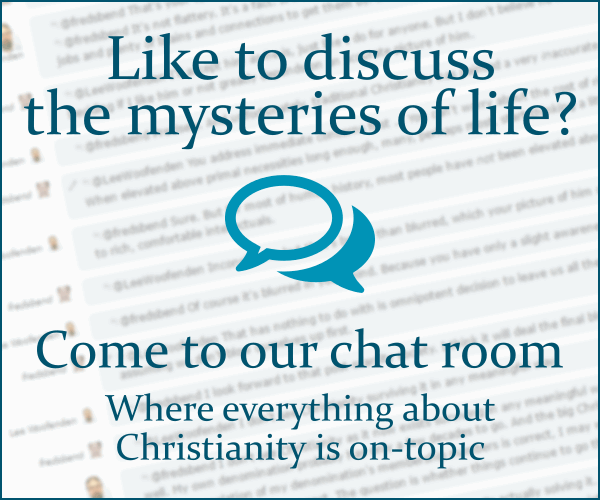 Browse other questions tagged reformed-theology atonement or ask your own question. How do non-Trinitarians who do not believe Jesus is God Almighty explain how Jesus can effect atonement for all of humanity?